2. Are you currently a licensed RN in the U.S.? Are you currently a licensed RN in the U.S.? What is a DNP Degree? Healthcare careers have grown steadily in recent years, but the influx of new but inexperienced professionals has created a demand for skilled healthcare professionals who can take on leadership roles. There has been much public discussion of the leadership gap in healthcare; which has been exacerbated by healthcare education that has traditionally focused on clinical skills, with little attention paid to training future leaders. For nurses who seek career advancement, this leadership gap may present an exciting opportunity to pursue further training and join the ranks of healthcare decision-makers. Nurses with Bachelor of Science in Nursing (BSN) degrees who are looking for a track to advanced nursing careers should consider a BSN to DNP program. These programs offer a streamlined option that bypasses the Master of Science in Nursing (MSN) degree, for those students who have set their sights on leadership roles. After earning a Doctor of Nursing Practice (DNP) degree, students will likely be better positioned for a wide range of advanced nursing careers and to become leaders in their area of specialization. Also, if BSN to DNP graduates decide not to go into direct clinical care, they will be prepared to pursue other kinds of careers, including as educators and patient care advocates. Most BSN to DNP graduates say they want to work directly with patients in clinical settings, using their DNP degree to take on more specialized or higher-level roles. Some choose to improve patients’ lives in a less direct way, by educating future nurses or by advocating for patients’ rights. Whatever kind of work appeals to them, the range of advanced nursing careers offers many different opportunities to help shape the future of healthcare. The following are some of the most popular positions among BSN to DNP graduates. However, it is important to note that while earning an advanced degree can help an individual begin the process of pursuing a more leadership-oriented healthcare role, additional training and/or certifications may be required to achieve employment. Adult-Gerontology Primary Care Nurse Practitioners (AGPCNPs) are advanced practice nurses who work with adults, from adolescence to advanced age. As opposed to Adult-Gerontology Acute Care Nurse Practitioners, AGPCNPs focus more on disease prevention, wellness and patient education. AGPCNPs may work in a variety of settings including clinics, private practice, prisons, student health centers and rehabilitation centers. Some AGPCNPs pursue a specific focus within their field, such as diabetes, health policy, HIV/AIDS or palliative care. AGPCNPs earn an average salary of $85,163 per year. In addition to the salary levels, people are often drawn to advanced nursing careers such as AGPCNPs for the opportunity to have greater independence; many work in private practice outside the supervision of a physician. The Bureau of Labor Statistics doesn’t calculate job growth statistics for AGPCNPs specifically, but it estimates that nurse practitioner positions as a whole will increase by 36 percent (or approximately 56,100 jobs) from 2016 to 2026. Family Nurse Practitioners (FNPs) work with patients of all ages. Their duties are similar to those performed by physicians, including diagnosing and treating common medical issues and prescribing medications. An FNP is often a patient’s first point of contact within the medical system, with the ability to refer patients to specialists when necessary. FNPs frequently work alongside doctors in a cooperative practice. Family Nurse Practitioners are generally DNP degree-holders who have completed an FNP concentration, though they may have also completed a residency or internship before starting their FNP careers. The median salary for an FNP is $89,043, though after 10 years of experience that number is closer to $99,000. The BLS reports the outlook for nurse practitioner jobs (though not for FNPs specifically) is very strong. Jobs are expected to grow by 36 percent between 2016 and 2026. Where AGPCNPs focus mainly on disease prevention, Adult-Gerontology Acute Care Nurse Practitioners (AGACNPs) focus on treating illness. They generally work in hospitals (sometimes in labs, emergency rooms or intensive care units) or inpatient clinics, where they have the resources to treat acutely ill patients. Their goals include stabilizing patients, preventing complications, restoring health or providing palliative care. Duties include diagnosing patients, referring to specialists and providing or monitoring medications. Pursuing a DNP with an AGACNP specialization is the general route to an AGACNP career. AGACNPs earn an average of $92,000 per year. Like other types of nurse practitioner jobs, the BLS predicts strong growth in the field. It estimates that nurse practitioner jobs as a whole will increase by 36 percent between 2016 and 2026. 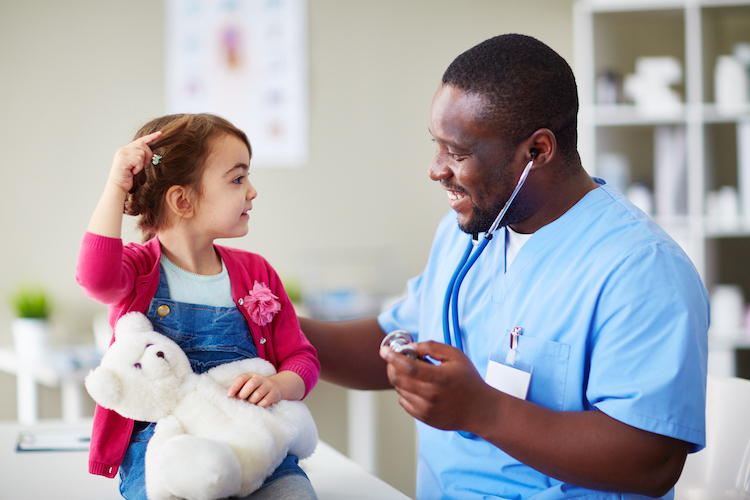 Pediatric Nurse Practitioners (PNPs) work with children in the pediatrics ward of a hospital or other medical facility. They often work closely with physicians to treat young, chronically ill patients; helping administer or prescribe treatments, observing the effects of therapies, and diagnosing non-critical issues. It’s important that PNPs are skilled at communicating with children, are able to listen to children and interpret the information they give, and are able to competently and compassionately interact with families. BSN to DNP programs with a PNP specialization work to prepare graduates for advanced nursing careers as Pediatric Nurse Practitioners. PNPs earn an average salary of $87,000 per year. The BLS doesn’t calculate job growth data for PNPs specifically, but PNPs are included in the projections for nurse practitioners, which predicts jobs will grow by 36 percent between 2016 and 2026. Psychiatric Mental Health Nurse Practitioners (PMHNPs) work with patients who suffer from disorders such as ADHD, substance abuse, mood disorders or schizophrenia; helping patients recover from or learn to manage their illnesses. They often work alongside psychiatrists, evaluating and monitoring patients’ progress, administering medications, and communicating with patients about the effectiveness of their treatment. It’s important than PMHNPs have strong communication and interpersonal skills, as communicating with both psychiatrists and patients is an integral part of their role. To pursue an advanced nursing career as a Psychiatric Mental Health Nurse Practitioner, you will first need to earn a DNP degree with a PMHNP focus. PMHNPs earn an average of $97,800 per year. That salary figure is closer to $110,000 after 10 to 20 years of experience. Specific BLS growth data for PMHNPs is not available, but jobs for nurse practitioners as a whole are expected to see 36 percent growth from 2016 to 2026. Chief Nursing Officers (CNOs) work primarily in hospitals, directing nursing activities according to hospital procedures. They follow strict safety policies to protect patients, and they work with hospital leadership to develop effective patient care strategies and make changes to existing procedures. Day-to-day duties include managing staff levels, developing and implementing emergency plans, supervising budgets, and planning the purchases of supplies and equipment. They are also involved in nurse training and are in charge of related orientation and educational programs. A DNP degree is likely to make an individual a strong candidate for CNO positions, although a master’s degree would be the minimum requirement. CNOs earn an average salary of $124,000, according to the BLS. healthcare manager positions such as CNO roles are expected to grow by 20 percent from 2016 to 2026. The Director of Nursing Services (DONS), also called a Director of Clinical Services, is responsible for overseeing a team that includes nursing staff, other clinical professionals and office staff. The DONS is in charge of supervising, training and providing continuing education for staff. The DONS also creates budgets, ensures the company’s compliance with regulations and laws, and oversees the auditing of clinical services and records. The DONS reports to the CNO, and often oversees a specific department such as Oncology or Mental Health. A DNP degree may prepare graduates for Director of Nursing Services roles, although a master’s degree is the minimum requirement. The average salary for a DONS is $85,000. While the BLS doesn’t calculate job growth for DONS specifically, it projects that healthcare manager roles in general will grow by 20 percent between 2016 and 2026. A Chief Nurse Anesthetist, or CRNA, coordinates and supervises anesthetic procedures. The CRNA administers anesthesia to patients, often alongside a team that includes an anesthesiologist. CRNAs perform health assessments on patients, inform patients about their procedures, determine the type and quantity of anesthesia to administer, and monitor and adjust anesthesia during procedures. CRNAs also possess strong leadership skills, playing a lead role in optimizing patient outcomes and meeting performance benchmarks. Strong communication skills are a must, as CRNAs seek to foster patient satisfaction and facilitate teamwork among other nurses. CRNAs also help coach other nurses regarding best practices and ethical concerns. The emphasis on leadership skills in BSN to DNP programs often makes DNP degree-holders strong candidates for CRNA positions. CRNAs earn an average salary of approximately $164,000, which may explain why it is a highly sought-after specialization within advanced nursing careers. The range of careers open to BSN to DNP graduates shows the value of a DNP degree. If you are interested in diving deeper into a specialization, are attracted by satisfying salary rates, desire greater autonomy and want leadership responsibilities — all these are generally reflected in advanced nursing careers. A BSN to DNP program may be one of the fastest routes to achieving that career advancement. With advanced nursing careers across the board expected to see very strong growth for at least the next decade, there couldn’t be a better time to pursue a DNP degree. Now that you’ve learned about the careers that may be waiting for you on the other side of a DNP degree, find out more about Maryville University’s online BSN to DNP program. If you want more general information about courses included in BSN to DNP programs, take a look at this overview of a typical BSN to DNP curriculum.